Calaméo - Were Ancient Sea Monsters Actually Mythological Or Did the Ancients Actually See Monsters? 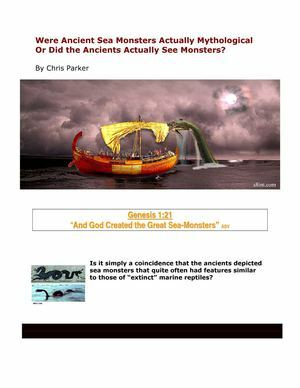 Were Ancient Sea Monsters Actually Mythological Or Did the Ancients Actually See Monsters? Is it simply a coincidence that the ancients depicted sea monsters that quite often had features similar to those of “extinct” marine reptiles? We look at a few pieces of ancient art that indicate that man and "sea monster" coexisted.